These are a few screen shots of early MacOS X Server that were once on Apple's web site. Since they have disappeared, I am posting them here for the sake of history. 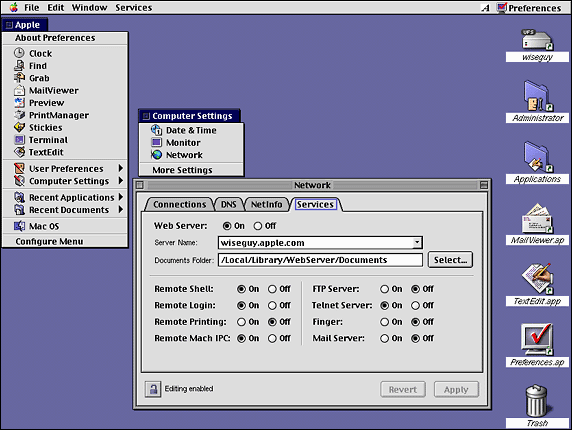 MacOS X Server 1.0 was released prior to the addition of the Aqua user interface appearance. The appearance is very similar to the "Rhapsody" developer releases. 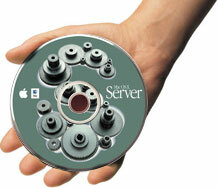 As the name suggest, the first Mac OS X server was intended as a server-only release. OS X did not come to the desktop until later. 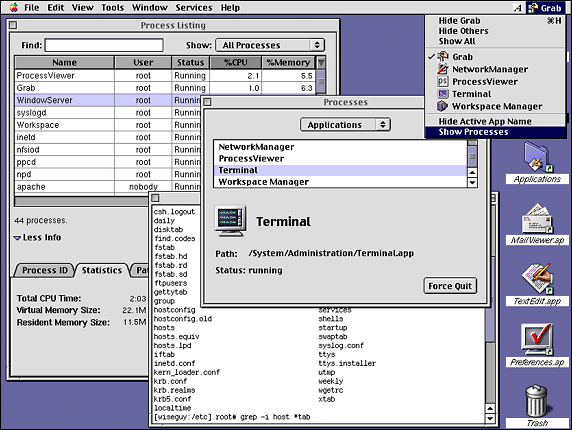 Because MacOS X was built on top of NeXTStep/OpenStep it has all of the underpinnings of a Unix system. It automatically had much better networking and multitasking than the Classic MacOS. 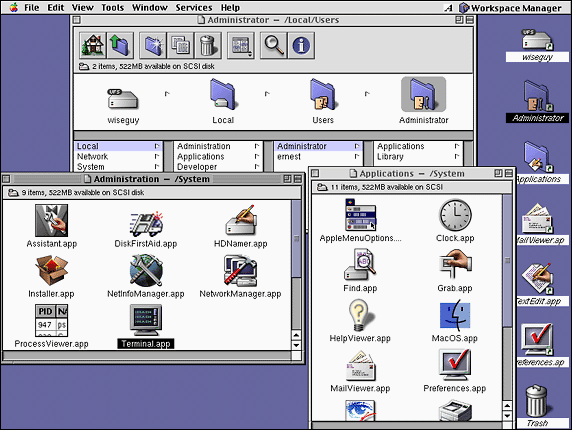 Many of the elements, such as the finder, still resemble NeXTStep/OpenStep. 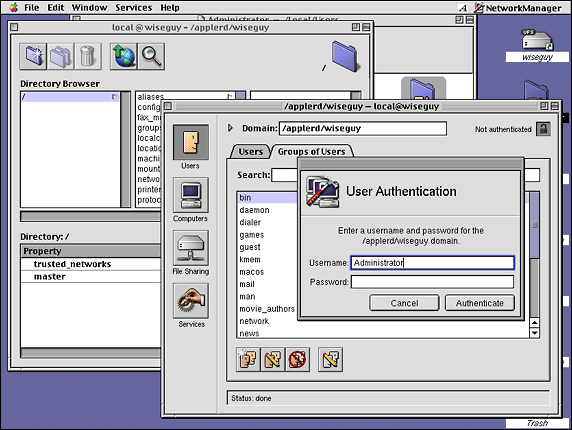 It wasn't until the first desktop release that MacOS X got the eye-candy rich Aqua user interface appearance.